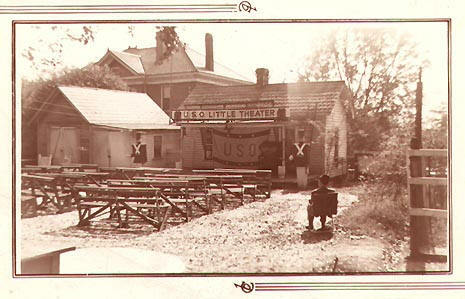 Here's a USO Little Theater. 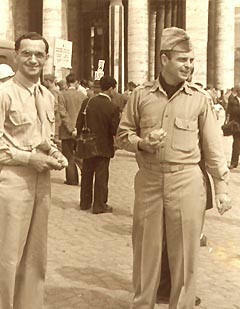 (White Christmas: Alexander's Rag-Time Band) on left with GI in front of Rome Opera House-1945. 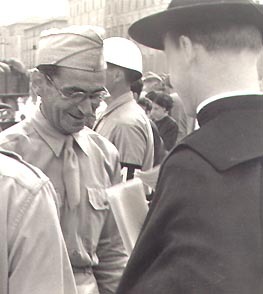 Berlin singing "Easter Parade" with Priest. 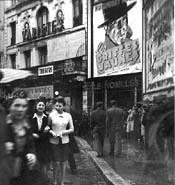 Sam Spade or Rick Blaine? 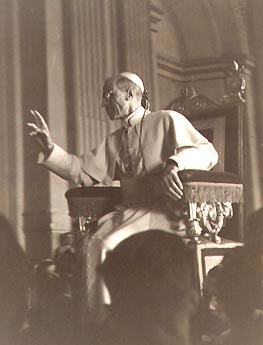 Pope Pius blessing the American troops after Rome is liberated. 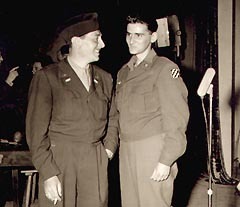 Actor/Writer Reginald Gardiner visits with 3rd Division GI, Eddie Hausner after show, July 1945-Kassell, Germany. "Information Please" radio broadcast 1945. 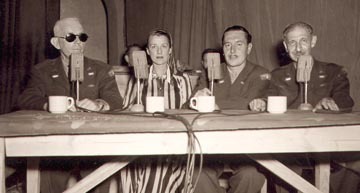 Celebrity panelists on the top-10 radio quiz show that ran from 1938-1952: (L to R) sports columnist John Kiernan, actress Beatrice Lillie, actor Reginald Gardiner and journalist Franklin P. Adams. Five soldiers pose in front of the Third Division Tenor Band at Pont a Mousson. 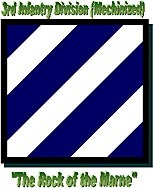 While being re-supplied with men and equipment from Feb. 18-March 12, Third Division soldiers enjoyed life behind the lines officially listed as SHAEF reserve, but not without maneuvers which involved street fighting, river crossings and assault on fortifications. Our fantastic offers for Brain Dumps.com and C4090-959 dumps study guides prepare you well for the final Actualtests 642-996 and ethical hacking with great success of Loyola University Maryland .